Case Study: Why some Feng Shui Masters mistakenly continue to use the MAIN DOOR for every case they work on. 1. Find out who are the conservatives and who are the modernists. 2. How the conservatives misinterpreted the ancients? 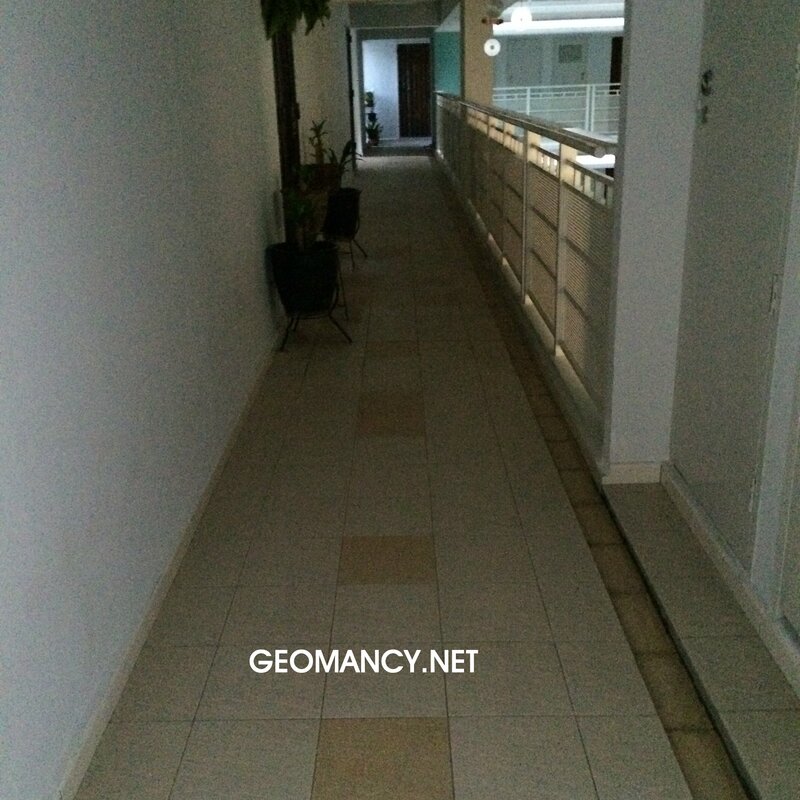 Very often, how a main door is placed depends on the architect's decision to "join" that unit to a common corridor. 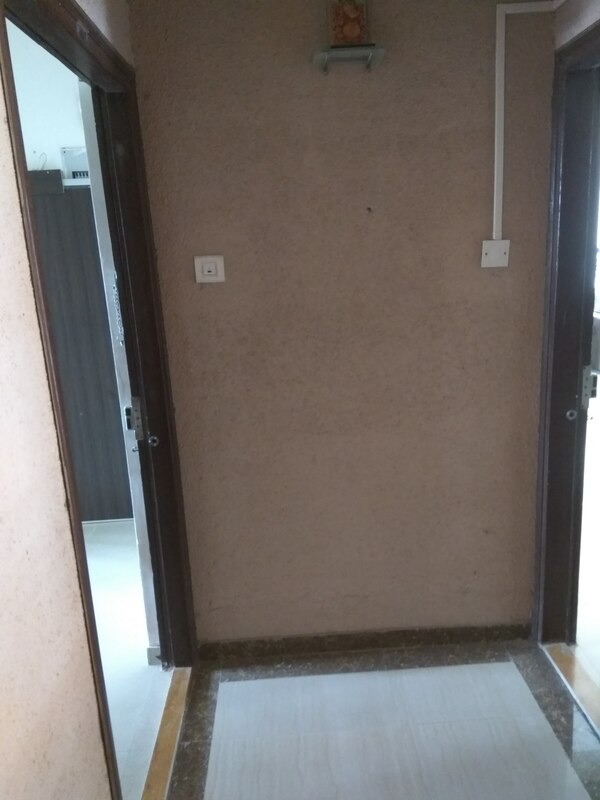 In this simple illustration, one can see that the main door could be in either positions depending on how the architect connects the main door to the common corridor of a block of flats. the apartment from the front. 4. For a condo or apartment. have main doors at "odd"
the main door of an apartment. construde as the main door. blowing into the windows etc..
within a day can differ. not go for only one method. 1. Further to what I had mentioned, sometimes, it may be easier to determine the sitting position. Especially if there is a distinct hill or slope e.g. behind the property. We could "safely" say that the facing is directly opposite this. 2. 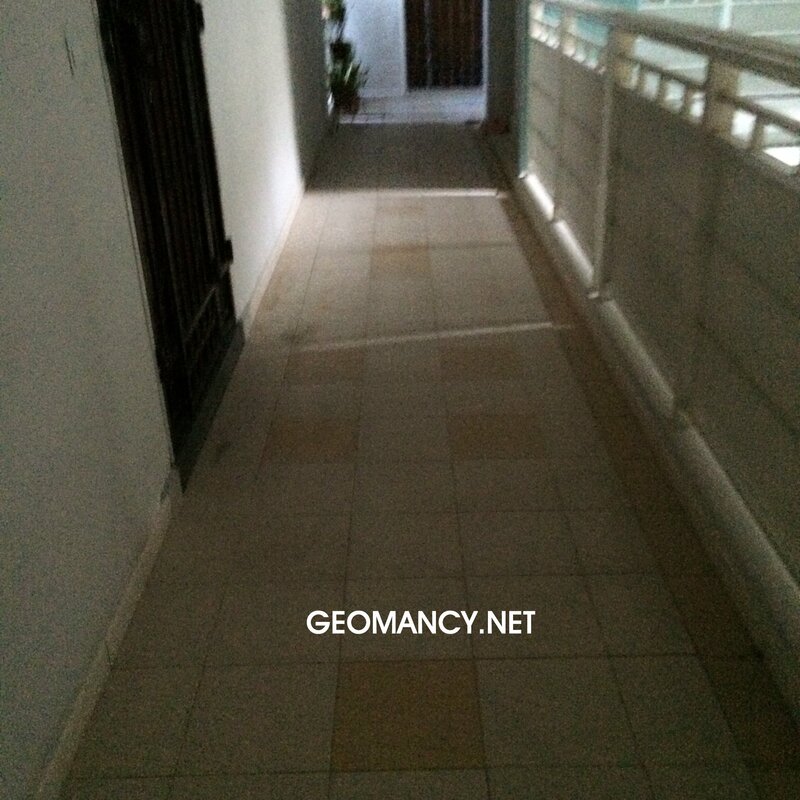 In Singapore, especially for the 3 room Housing and Development Board flats (HDB), we often find that we enter the apartment from the front. 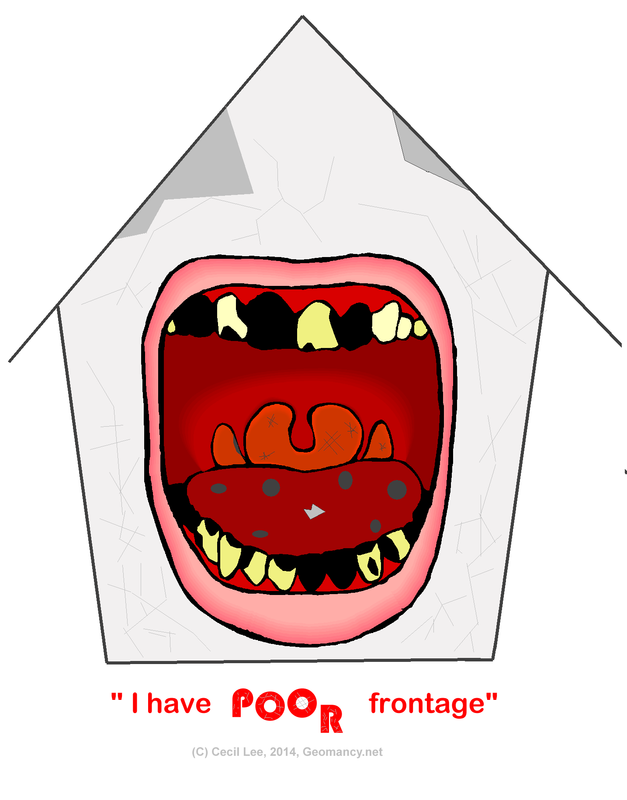 And it is easy to say that this is often the facing direction or the "mouth-of-the-house". 3. 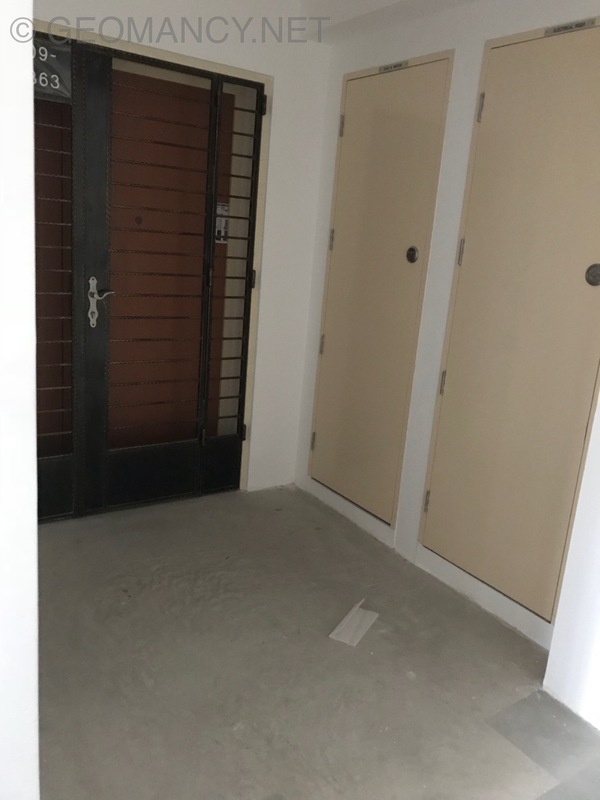 However, nowadays, many apartments are squeezed so tight and clustered in a snake like formation, the main door can nearly be at any direction. 4. For a condo or apartment. It is best to check on one's life-style habit. Does one often leave the main door open? Or close it most of the time? 5. 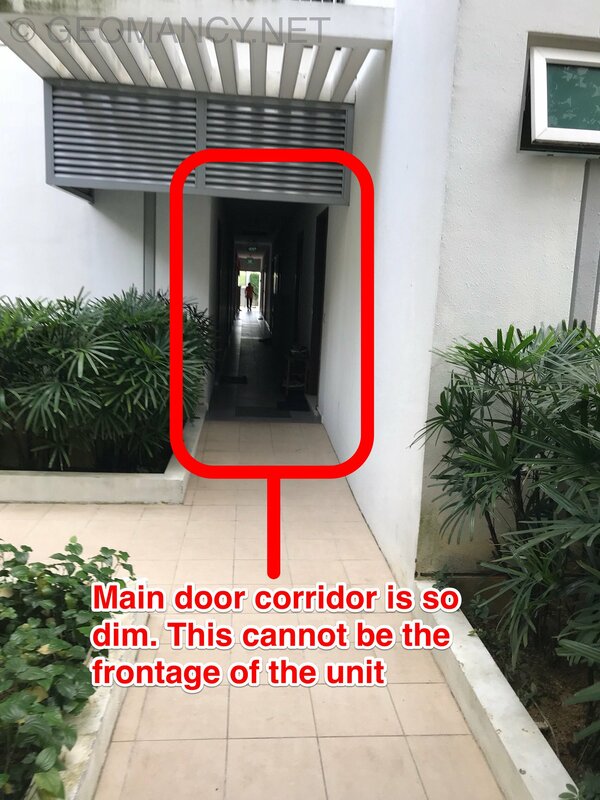 For many who live in a condo, I have seen majority of the residents close the main door (unless they fixed a grille at the main door). Yet, many do close this door. If we do close this door, then, it does not make much sense to say that this is the "mouth-of-the-house". 6. 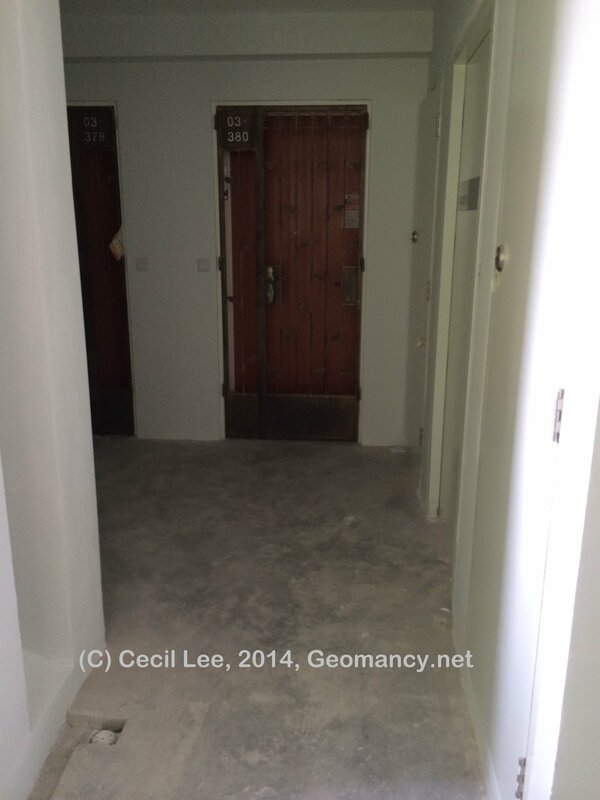 Furthermore, many condos and even new HDB apartments have main doors at "odd" placement. And often, if we have to negotiate a turn into the home from the main door, most likely, this may not be the natural "facing direction". 7. 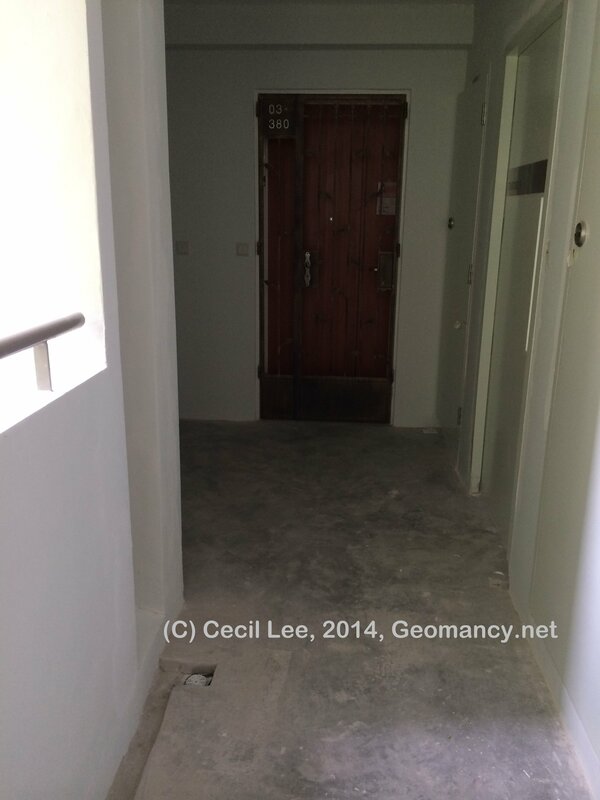 This is similiar to what I had mentioned for a landed property under Para 1, where if the main door is at the side. 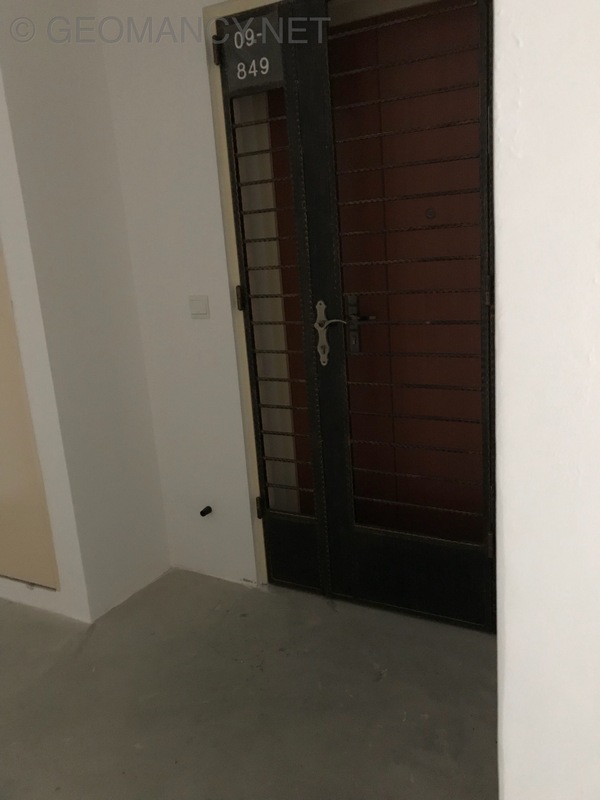 And if there are other landed properties where this main door faces the side of the neighbour's apartment, most likely this should not be the main door. 8. 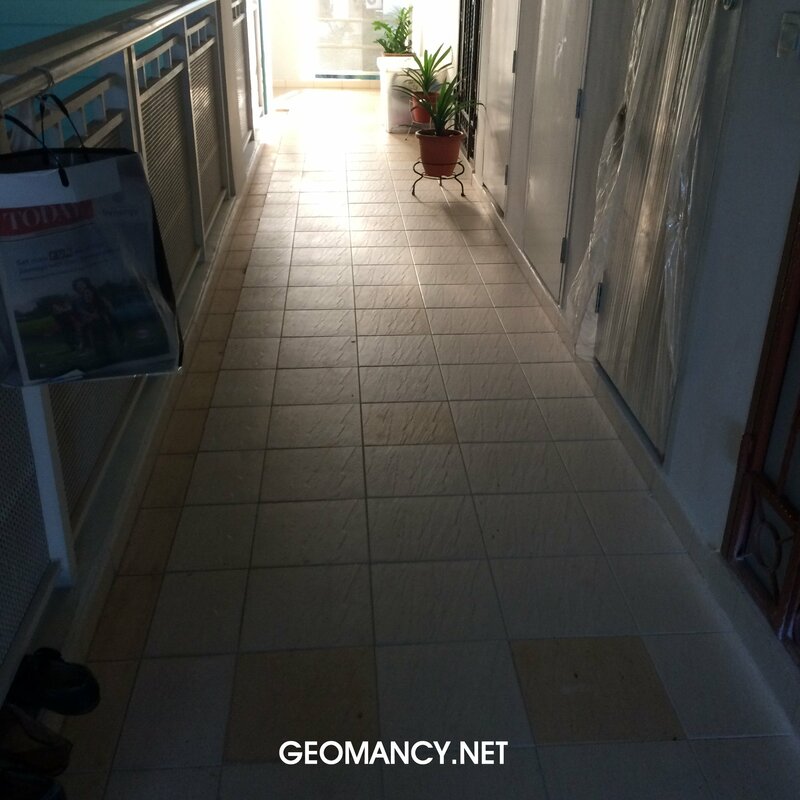 In fact, I am very sadden by the fact that, some local practitioners try to scare their would be clients not to take up Feng Shui from others who do not take readings from the main door of an apartment. 9. Look at it this way, countries like Singapore and Hong Kong have majority of their residents staying in an apartment (condo or HDB) andFeng Shui for apartments is quite modern. And as mentioned above,the main door can be located at very odd locations and it should not be construde as the main door. 10. I believe, many of such practitioners either live in the stone age ormost likely wear spectacles but if one peers closely at their spectacles, these spectacles have "tunnel vision lens". 11.1 If the home has four sides of windows, try to figure out, firstly which side has more light. The idea of more light is more practical than the amount of wind coming into a home. 11.2 More light would often suggest, that there are more floor area of window or the mouth-of-the house. 11.3 To use the amount of wind blowing into the windows etc.. may not be an exact science, since, high /low pressures within a day can differ. Therefore, wind can blow from any side of the home at any given time. This is particuarly true for an island like Singapore, which is surrounded by water. And it is said that in a high pressure days, air circulate either clock-wise or anti-clockwise for low pressure days. 12. The idea that the higher one's apartment is, we should take the reading from the balcony or the location where most lightcomes in makes more sense also. 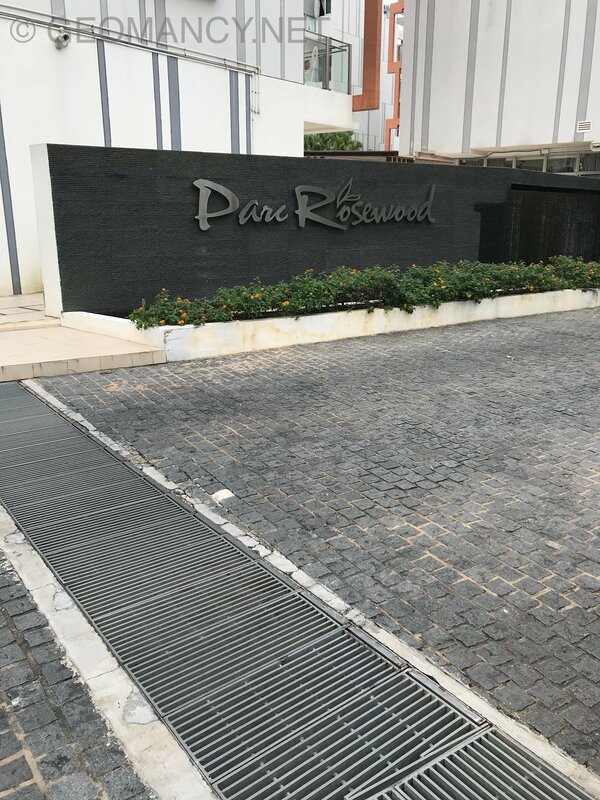 Many people feel that when our apartment goes as high as 6, 7 or 8th storeys, and if we do see much light coming thru, here, then this should be the mouth-of-the house. 13. 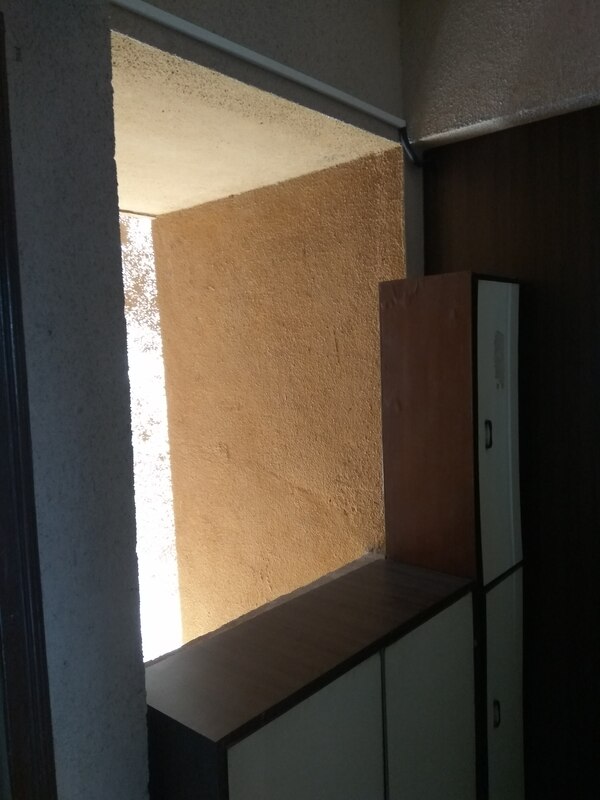 However, if one lives in a highrise, and if our views are blocked by an immediate neigbhouring block and if we have the habbit to open the main door (leaving it open most of the time), then, even if at a higher storey, we could then perhaps, use this as the main door. 13.Given, the above examples, one can therefore see that thereis no right or wrong answers. 14. More importantly, if you do check on a practitioner, check to see if the practitioner use the term "IT DEPENDS". If so, the practitioner is most likely a better practitioner - who does not go for only one method. 15. If the practitioner - says that every other method is WRONG! 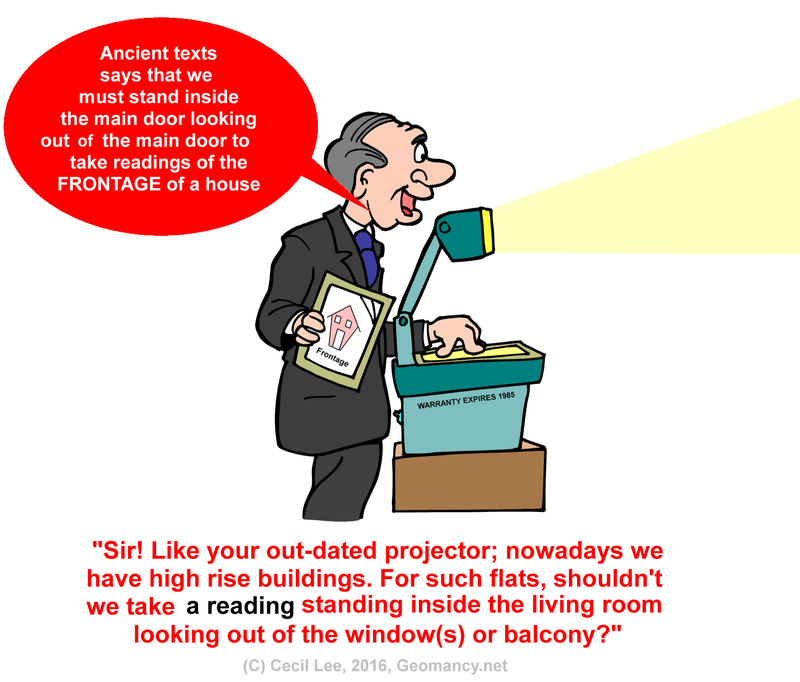 It must be the main door, please steer clear of this "dead-wood", myopic practitioner! Unfortunately, there are many of these in Singapore. It shows how inflexible, such people are. Feng Shui was developed at the time where there were few if any highrise. And, it is very sad to say that many of such schools, feel that only their method is RIGHT and sometimes, these practitioners will quote some famous practitioners dead or alive. Who cares, do remember the fundamentals and we are better off.
" Thanks for your kind help. 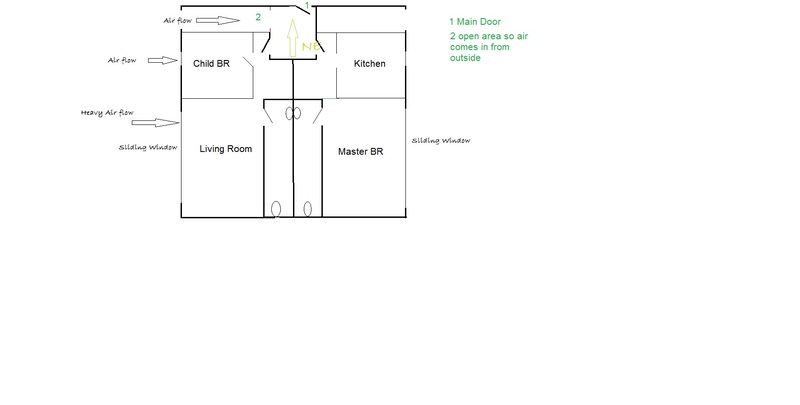 May I also know like all my living hall and 3 bedrooms windows are all facing the same directions South, does that mean the house of the facing are towards south and my back support will be North? 1. It depends. 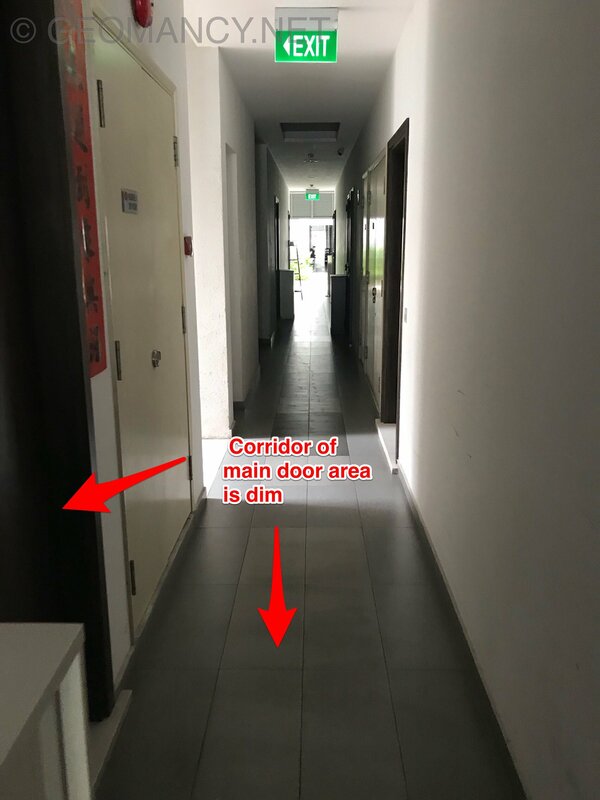 Usually, if you may not often leave the main door open (when at home) or when you approach a home and the area around the main door is dim; then most likely, the FACING direction in this example is "South" and not "North (assuming main door is here). 2. Safest is if not sure at the moment; stand inside the living room looking out of the windows or balcony area. 3. What is most important fundamentally; here is that why we determine the facing direction is chiefly for the purpose of calculating the Flying Star of a home. And this is the root of it all. 4. As mentioned in my link; a main door can join each stack to whatever the architect wants all stacks to be "glued" together. 5. Anyway, if the house is a North - South or South - North it still is considered better or best for an East group person. "Sorry, need to ask another question again. As I am curious of the facing direction because what I want to get the particular unit is all windows at living hall and 3 rooms windows are facing the(hidden - a specific)country club golf course and I assume this area should be better for the house facing in-front rather than behind where there is no support? Correct me if I am wrong. "Just imagine if the apartment is a landed property. You would drive UP to the frontage right? And the frontage should be where you had described." "Who would drive to the "back-side" of the home or apartment." Furthermore, you have deduced it based on? Common sense. this is the root of it all. wants all stacks to be "glued"
For this apartment in this block; even in day-light conditions, the main door entrance is dim and dark. 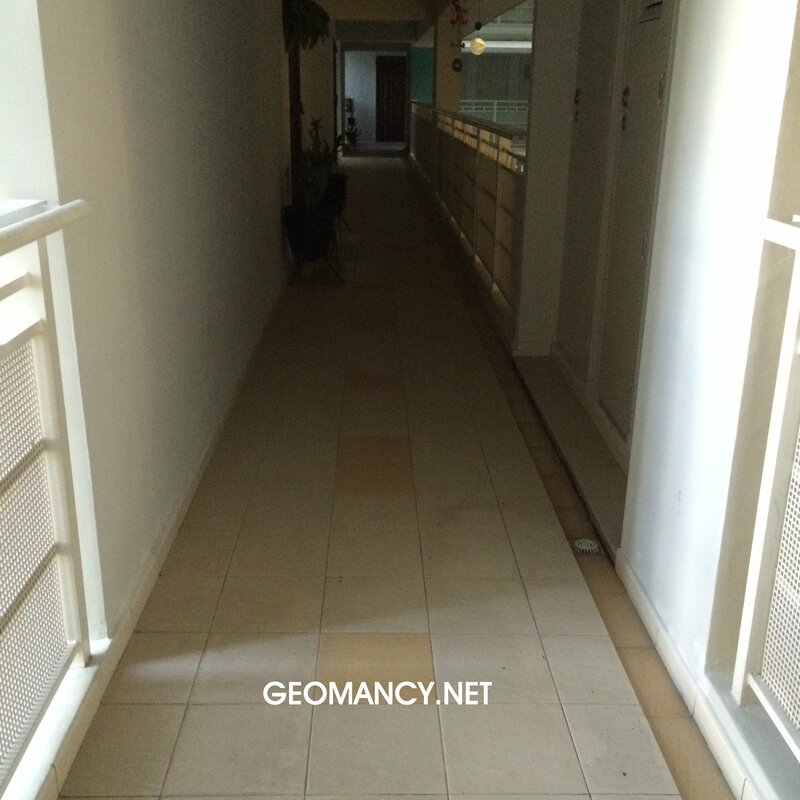 If so, for this apartment, this cannot be the frontage as no natural light falls within the entrance area. These unit's main door even during the day-time is dim. Thus, from a Feng Shui point of view; should not be considered the frontage at all. A conservative geomancer would often quote from old texts that one MUST stand-inside the main door looking outwards to take a compass reading to find the FRONTAGE of a house. However, during that time, this is relevant. But nowadays, many homes are high-rise = apartments. And majority of geomancers have considered perhaps, the frontage of? these apartments could instead be standing inside the living room looking out of the balcony / windows. Or the direction of the apartment where there are the most openings or windows. 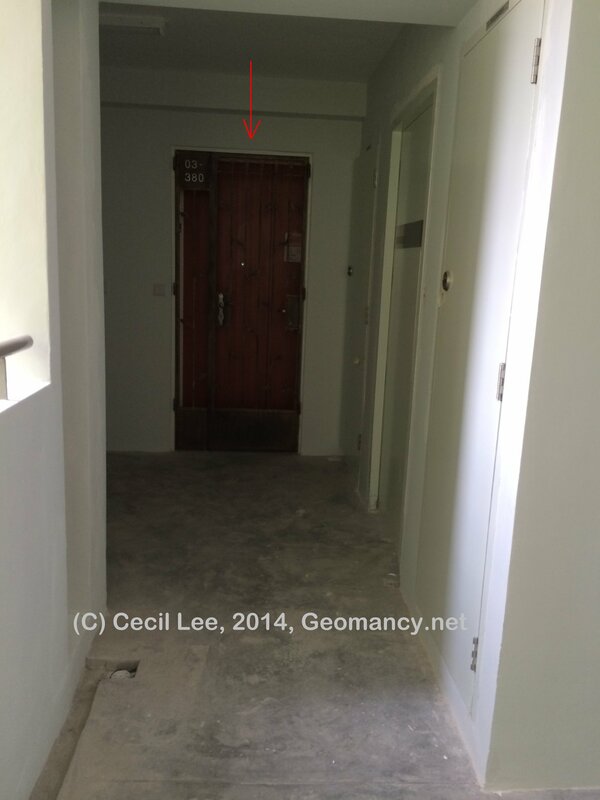 Many geomancers still feel that it is fair (most) of the time + normally the main door may be the frontage. Unless there are some breath-taking views at the back of the landed compound or it's sides. This is in-line with the idea of the frontage in the first place. 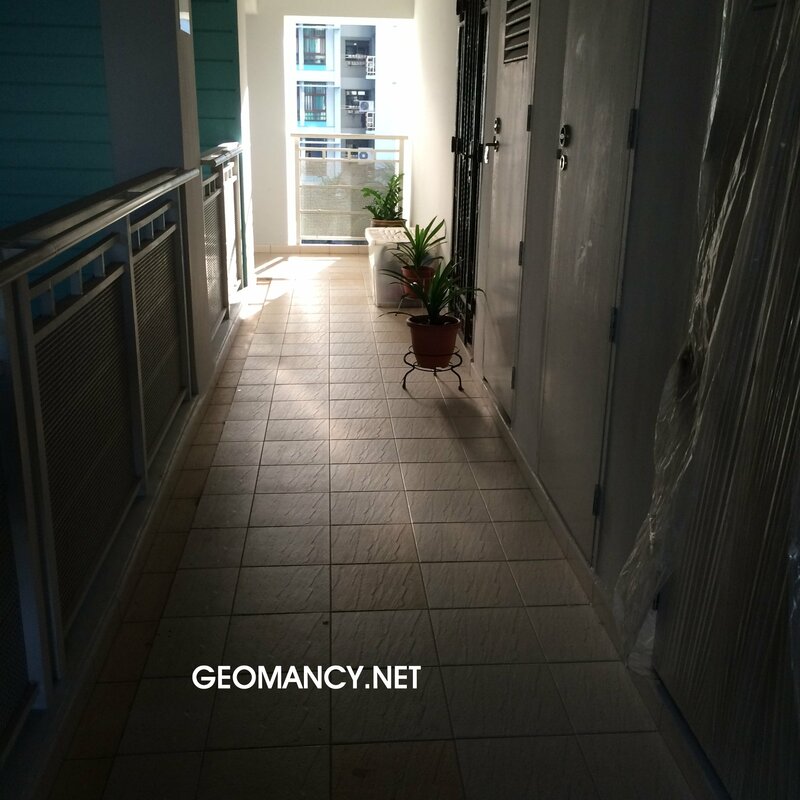 On 3/10/2016 5:22:32 PM, Anonymous wrote:>For this>apartment in this>block; even in>day-light>conditions, the main>door>entrance is dim and>dark.If>so, for this apartment,>this>cannot be the frontage as>no>natural light falls within>the>entrance area. Where the most Yang qi + light filters into the home. Thus the FRONTAGE or MOUTH does not always mean the front door (main entrance). Sir, you face looks very pale.... anything wrong? i have been following your channel from long time and thank you for providing such priceless knowledge. 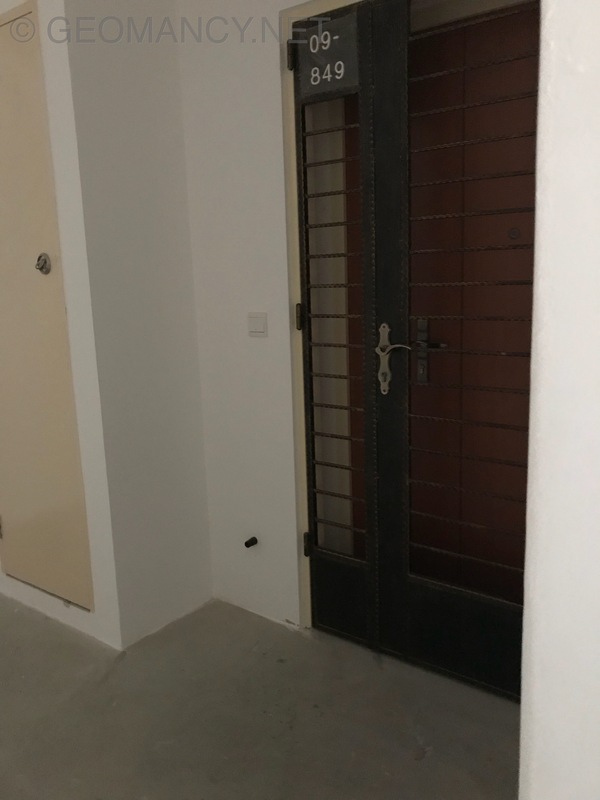 currently my house main door is facing NE 31 degree (we created new main door 2 months back)...as we joined two flats and created a common main door as you can see in the plan. but before that there was no main door and two separate entry. 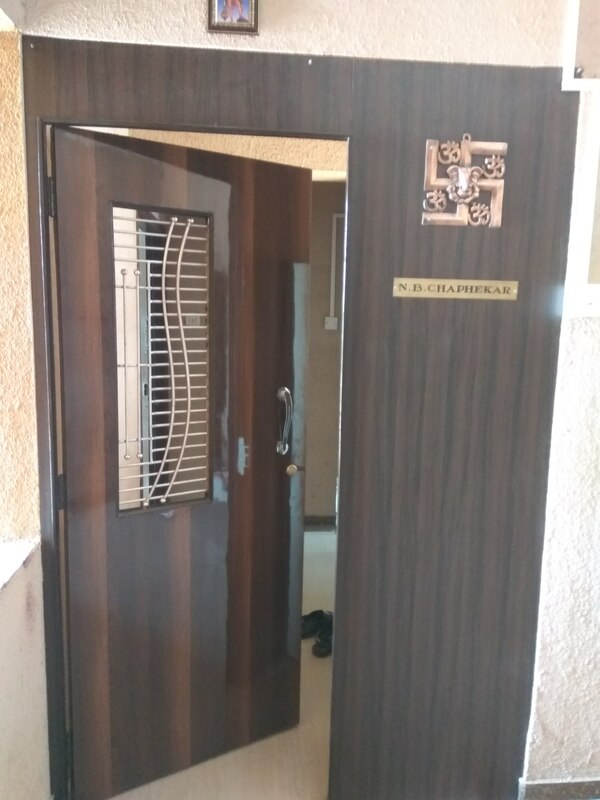 I have experienced myself after doing main door there has being problems in our financial condition for last 2 months and before that it was kind of smooth from the day we entered. is there any remedy for this? Feng Shui is always the direction of " The Main Door" right? These main doors are so dim.. thus should not be considered as the frontage of the home. 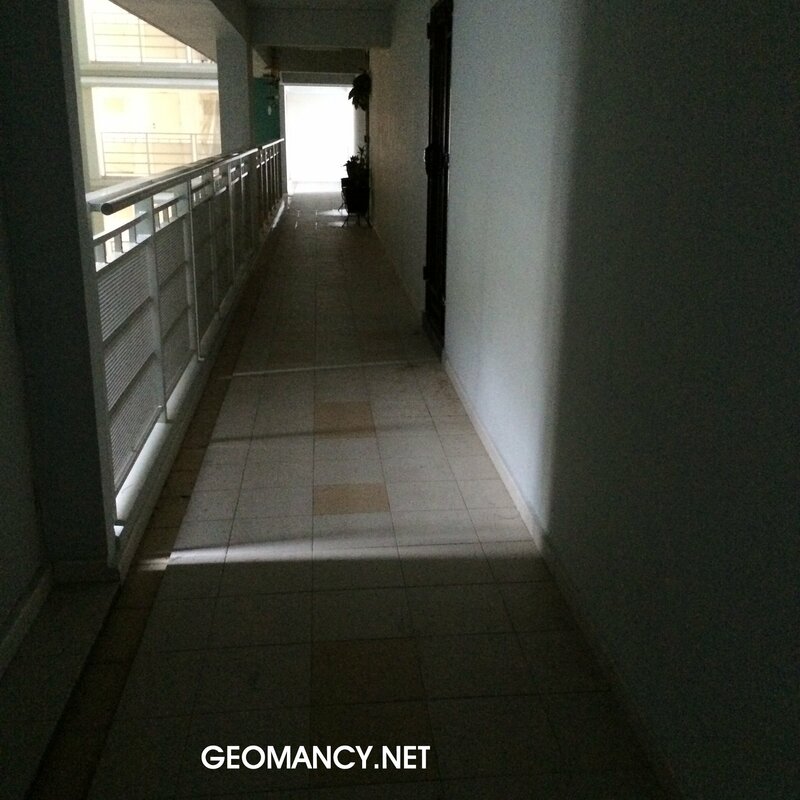 The corridor leading to the main door at Parc Rosewood is both narrow and dim! Thus should not be considered as the frontage.